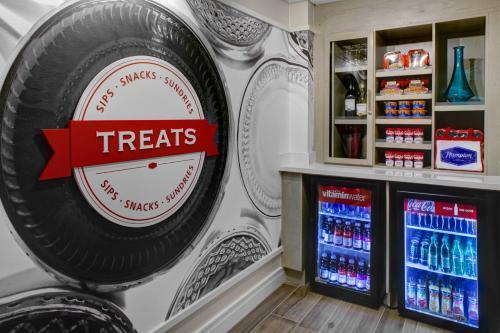 With free Wi-Fi free hot breakfast premium bedding free shuttle service and a game room across from Georgia Tech our guests score big at the Hampton Inn Atlanta-Georgia Tech-Downtown. 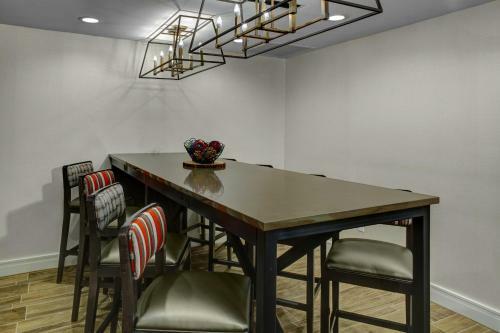 The six-story Hampton Inn Atlanta-Georgia Tech-Downtown furnishes 106 rooms featuring comfy Clean and Fresh Hampton Beds free Wi-Fi flat-panel TVs with premium channels pay movies and video game consoles refrigerators and coffee makers. 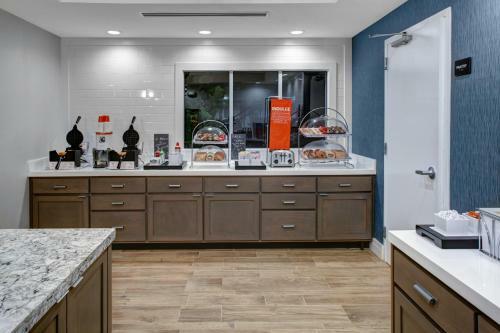 Get your morning jolt with the free On the House hot breakfast offering eggs sausage French toast and unlimited coffee refills or grab an On the Run breakfast bag (weekdays). 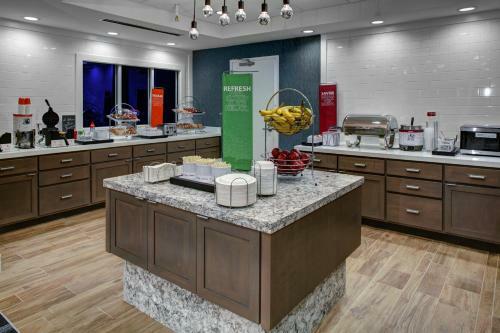 If you're feeling guilty about the calorie intake take it out at the on-site fitness center or on a game in the entertainment room featuring Wii Xbox 360 and two LCD screens. 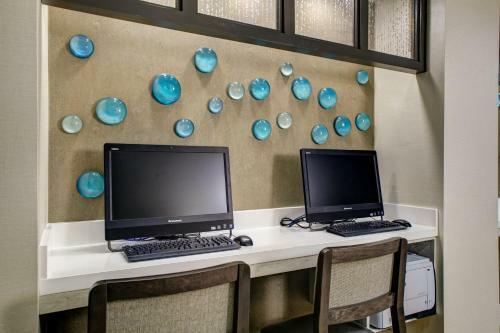 The hotel also has a 24-hour on-site convenience store and a business center with free printing. 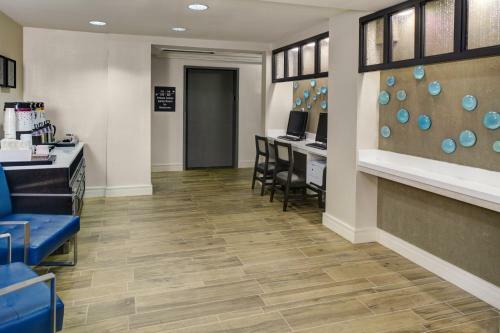 The Hampton Inn Atlanta-Georgia Tech-Downtown offers valet parking (for an additional fee) and a free shuttle service to sites within a two-mile radius. 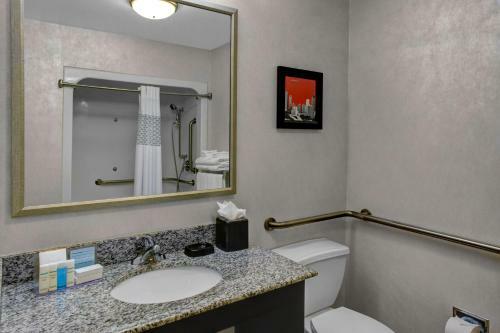 The hotel is also located a 10-minute walk west of the North Avenue metro station leading to the Hartsfield-Jackson Atlanta International Airport 11 miles south and downtown Atlanta. Facing Georgia Tech and the World of Coca-Cola the hotel is two blocks from I-75/85 which offers a quick 10-minute drive to the city's historic Atlanta Cyclorama and Civil War Museum. 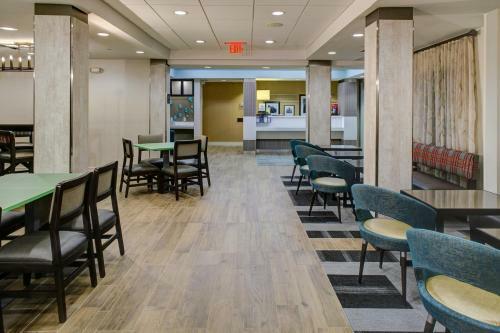 Add Hampton Inn Atlanta-georgia Tech-downtown to your free online travel itinerary.